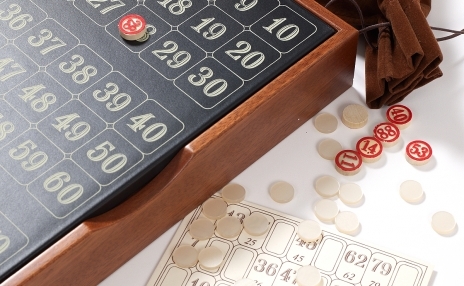 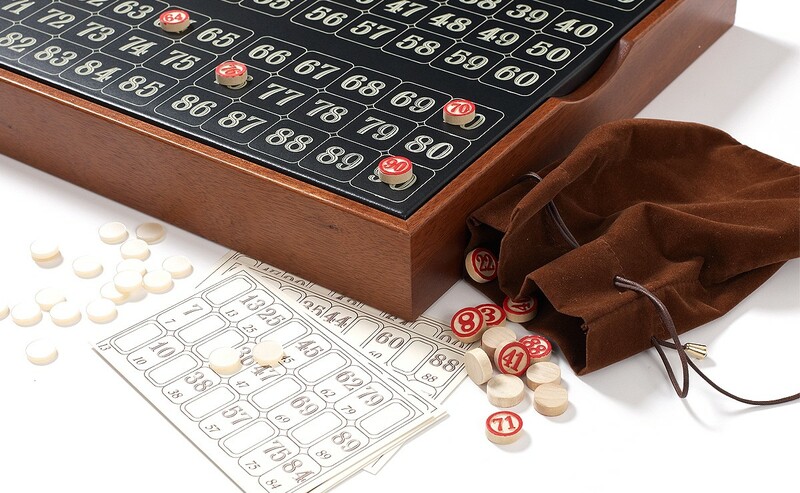 This gorgeous bingo set will have you exalting the name of the game. 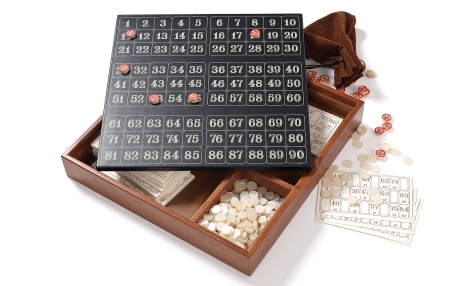 Classic printed grid cards on high-quality stock paper, pearlescent blank markers, and thick chips with raised red numerals. 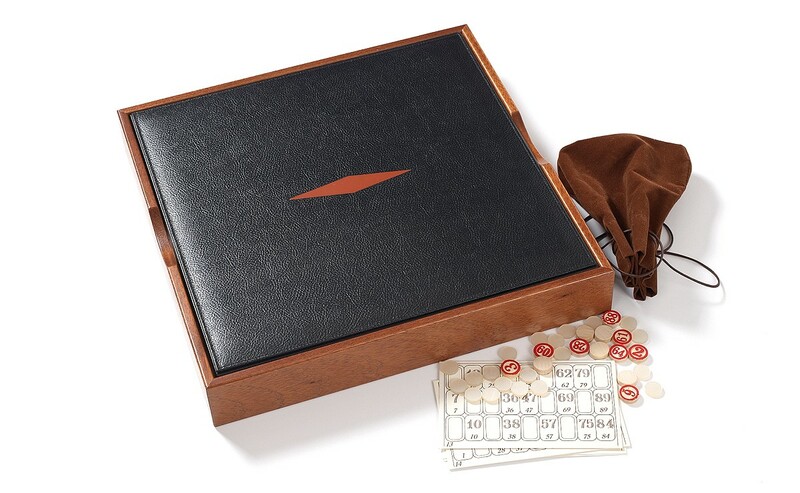 Includes a suede-soft drawstring chip bag, all stored within a marvelous mahogany wood box and topped with a discreet black leather reversible playing board. Striking board features bright white rows, columns, and numbers emblazoned on the smooth, black hide. Box interior separates into compartments for easy game piece organization. 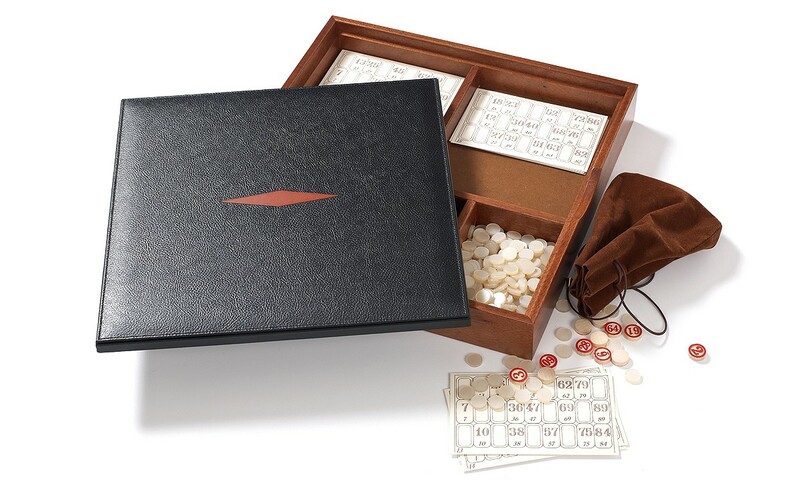 Leather top sits flush, with smooth finger grooves located on each side of the box for easy removal and reversal. The chips always fall in your favor with this exclusive set from luxury game manufacturer Renzo Romagnoli.